While I’m not a frequent visitor to North Wales, I have visited at least annually over the past ten years, and had experienced only one sunny day in that time. So I was pleasantly surprised to experience the area when it wasn’t smothered in cloud, fog and rain. Photographically, this represented a departure from me for two reasons – 1) murky skies suit my style, and 2) they are easy to expose for. I prefer to add contrast in post processing so I can put it where I want it, whereas on sunny days – well it’s just difficult. This was exasperated by the photos taken inside as the detail visible through the windows was largely blown out. The D700 has a decent dynamic range but it’s not up to the standards of its successors although I think they would also have struggled. Of course, taking multiple exposures and blending them afterwards would have solved the problem, but I wasn’t in a tripod using frame of mind, alas. 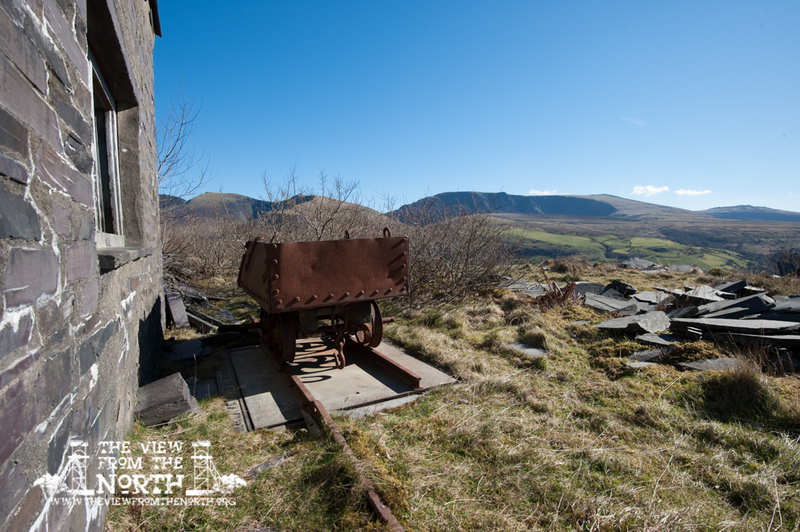 The blue skies aren’t typically Welsh, but the foreground could only be taken in Wales. The little wagon is sat on a weighbridge, and beyond the undergrowth in the background is the area that has been re-opened by Hanson. Some kind of scales, presumably linked to the weighbridge outside originally. They must have taken a hell of a knock to now be lying on the floor. 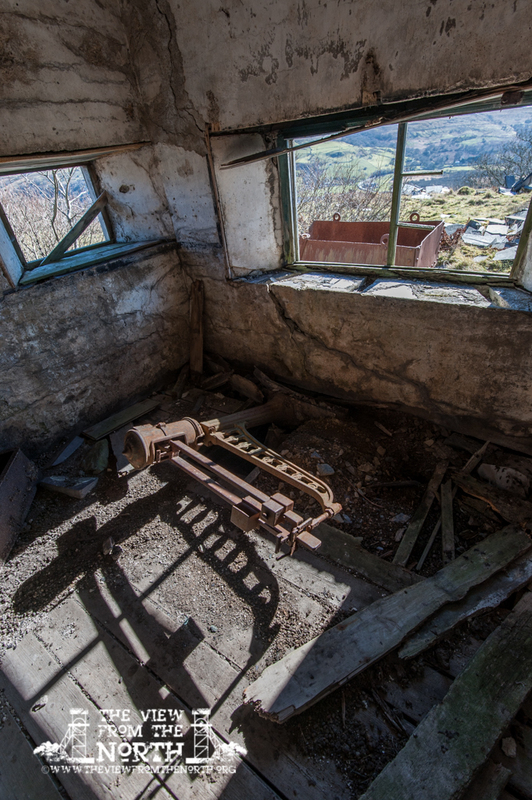 Another ‘inside looking out through a window’ shot. 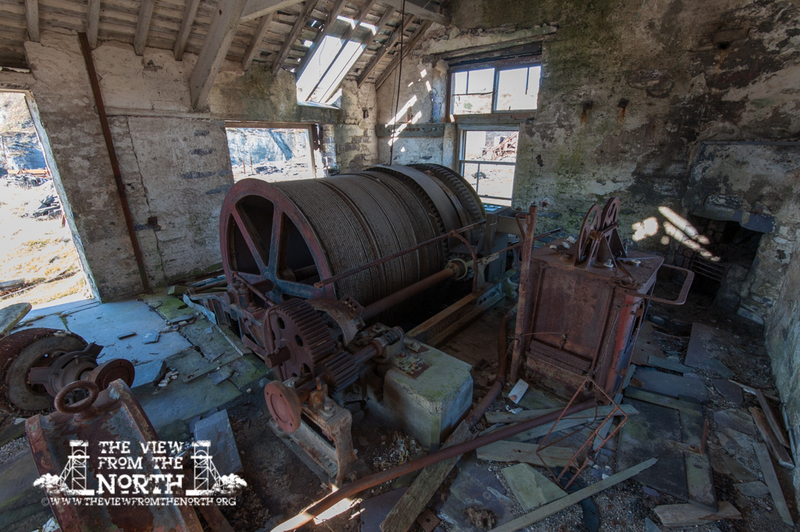 This building housed a winding engine and a small workshop, this is the fitters bench in the foreground. 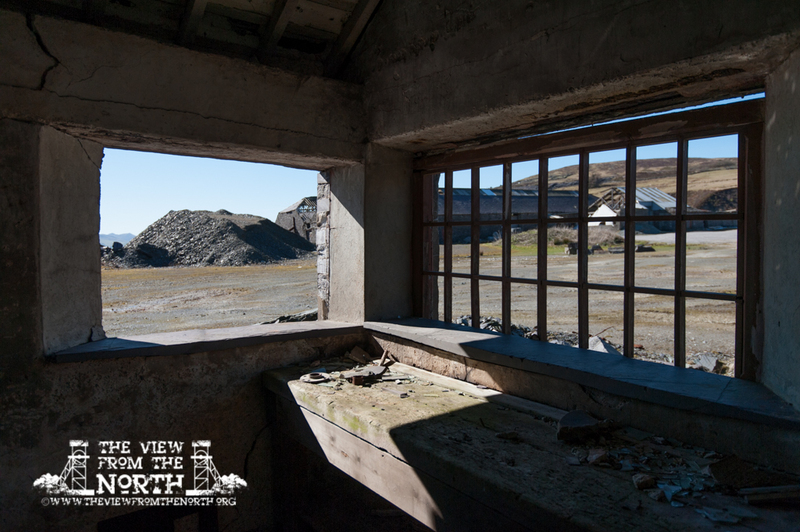 The sheds in the background are back in use for storing quarry vehicles so are under lock and key and not accessible.